Home VgamerZ OpinionZ How Scary Is… The Evil Within? 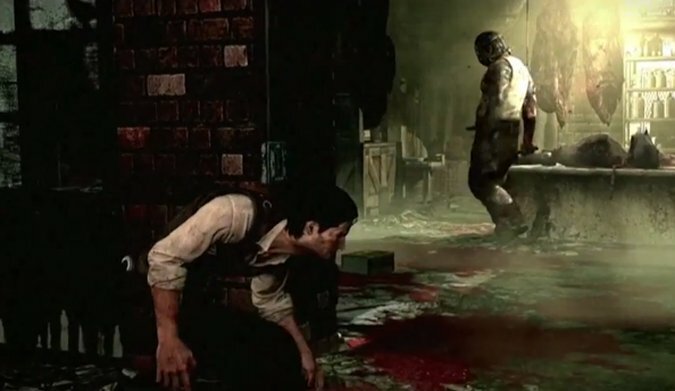 How Scary Is… The Evil Within? Oh yes indeed. This is the big one. Buckle up, guys and gals. Prior to release, The Evil Within was hyped ‘til it could be hyped no more. This much ballyhooed return to survival horror’s roots was being helmed by Shinji Mikami, after all. In the world of dark hallways, befuddling puzzles and angry maniacs brandishing chainsaws at our faces, this guy reigns supreme. This is the creator of Resident Evil, right here (not the crappy ones, the good ones), and you don’t argue with that kind of pedigree. The question is, does his first venture into the genre for some time deliver? Well, it certainly punches you straight between the eyes from the start. Many reviewers have noted its numerous homages to Resident Evil 4, and the memorable opening is certainly one of those. Inside the first fifteen minutes, Mikami’s favourite trope, the chainsaw crazy, has been unleashed on you. Some players have deemed this section tedious, what with being unarmed and all. But for me, it’s a tense introduction to the game’s stealth mechanics and real statement of intent to boot. The frantic hobble through the whirly circular saw trap room, the desperate dash from the Sadist, being dumped into the creepy well of blood… most of this happens before the opening credits. Um… it’s not how it looks, officer. 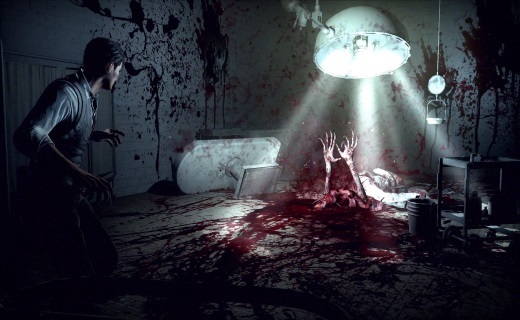 This is the nature of The Evil Within’s horror. In your face, violent, gory, all kinds of creepy. It’s the Resident Evil 4 or Dead Space style ‘action horror/shooter,’ if that’s a thing that exists. In terms of the lion’s share of the gameplay, at least. To that end, it throws just about every tired trope possible at us. The dodgy mansion that houses all kinds of questionable doings, the ‘undead’ enemies, the oft-predictable yet effective cheap jump scares. Mikami knows horror, but sadly he doesn’t know when to stop knowing horror. This isn’t to say that the game doesn’t also dig a little deeper. Along the course of the convoluted story, psychological horror becomes more prominent. As you begin to piece together the whos, whats and whys, you realise that there’s something brilliantly creepy going on behind the scenes. Which I shan’t go into, for fear of the spoiler police. As for its scaritude (which is also a thing), that’s as difficult to gauge as ever. It can be quite a panic-inducing game, dumping you in confined spaces with bosses that can insta-kill you and such. It has the foreboding atmosphere, the scare-rific locales, the scant supplies, every element it needs. It could be the start of a rather brilliant IP, but you’ll have to decide for yourself if it’s scary or not.